A History of Religion in 5½ Objects takes a fresh and much-needed approach to the study of that contentious yet vital area of human culture: religion. 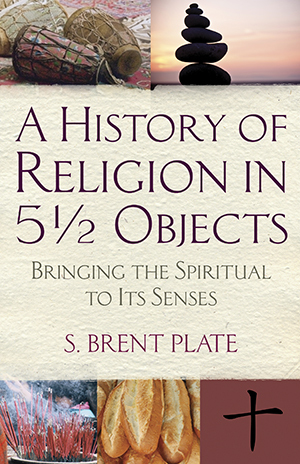 Arguing that religion must be understood in the first instance as deriving from rudimentary human experiences, from lived, embodied practices, S. Brent Plate asks us to put aside, for the moment, questions of belief and abstract ideas. Instead, beginning with the desirous, incomplete human body, he asks us to focus on five ordinary objects—stones, incense, drums, crosses, and bread—with which we connect in our pursuit of religious meaning and fulfillment. As Plate considers each of these objects, he explores how the world’s religious traditions have put each of them to different uses throughout the millennia. Religion, it turns out, has as much to do with our bodies as our beliefs. Maybe even more. "The well-written and accessible text surprises and intrigues…this is an elegant and sensitive book. Highly recommended to general readers open to a different perspective on religious practice."